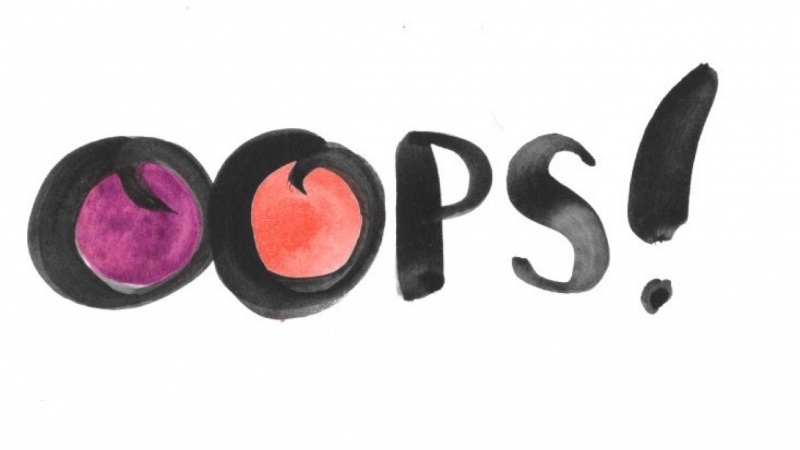 Super-useful tips for mistakes that seem devastating, but really aren't! That dry-brush technique is brilliant. I've been using paper towels to try to blot away color or excess water. Sometimes it works, but often I end up damaging the paper or making a bigger mess. The dry brush seems to be gentler on the paper and offers more control. I started with two red circles, then changed the first one to purple. It's kind of fun to soak up the paint with the dry brush.